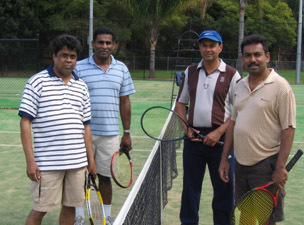 On Friday, 7th September 2007, Hartley College NSW Tennis Team defended their annual challenge trophy against Jaffna Hindu College following a stiff competition with a score of 100 vs 92. 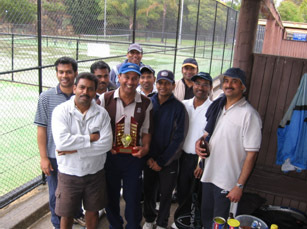 Players from both sides braved the cold and wet weather and played a total of 192 games of tennis. 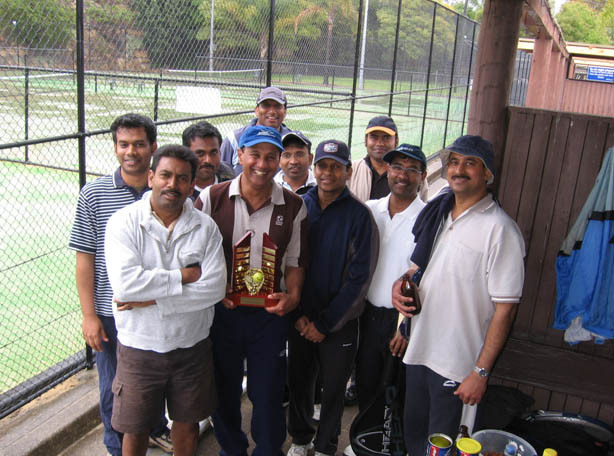 Despite a rainy 160C weather forecast, twenty four competitors from both teams and 20 supporters turned up at 08:30am at Parramatta Tennis centre, Barton Street, North Parramatta. Players were divided into six teams. Sivagnanasundaram and Jeyamenon.s team scored the highest score and became tie with Jaffna Hindu. Hence, the trophies for the best team players will be decided during a mini competition to be played at a later date. Players from both sides appreciated competitive and friendly nature of games which provided an enjoyable atmosphere. Our social secretary Srikumar and Tennis Captain Sivagnanasundaram have organised the event very well. We look forward to seeing you all at the cricket match.